Book Direct. You'll Be Glad You Did! 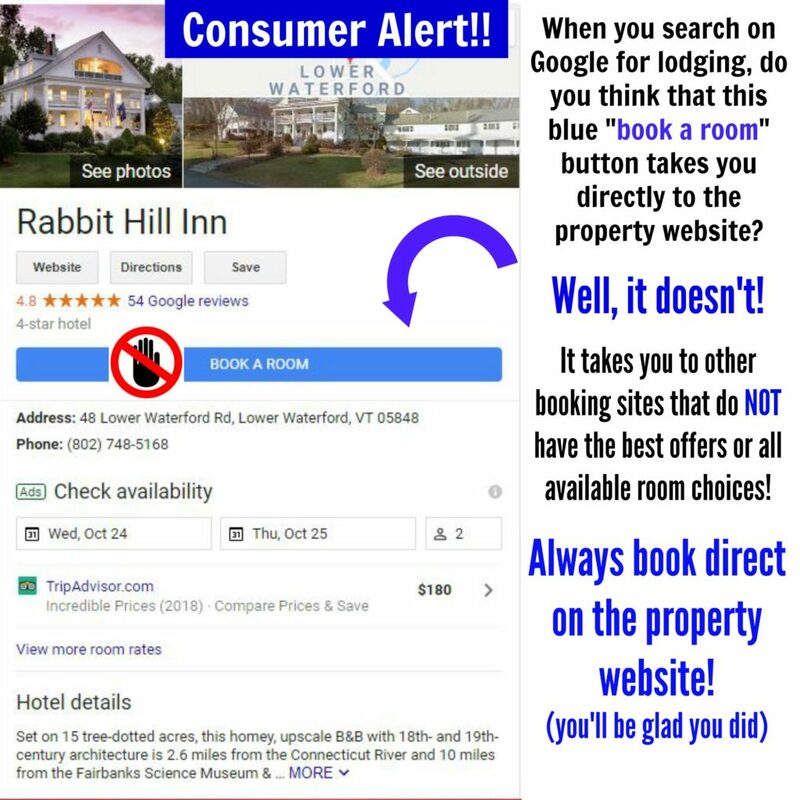 #1 – What happens when you DON’T book direct? And did we mention possible hidden fees??? #2 – What’s in it for you? Why is booking direct the BEST way to go? BIG bonus – Have direct access to the innkeeper who can answer questions about the local area, help you customize your getaway, and assist with special needs & preferences. Tell us if you are celebrating anything special. You deal with a REAL person who actually cares and wants your getaway to be awesome! This entry was posted in General, Uncategorized and tagged #bookdirect, best bed and breakfast rates, best deals on hotel bookings, best deals on travel, best lodging rates, book direct, Booking direct, how to find the best lodging rates, how to get the best hotel rates, OTA bookings, OTA rates, smart travel tips, travel tips, why book bed and breakfast inns direct, why book direct with hotels, why book direct with lodging, why book inns direct by leslie. Bookmark the permalink.